Beautiful acrylic flame shaped award. Available in two sizes. An outstanding award suitable for an outstanding recipient. Price includes engraving with a Maltese Cross and 110 (approx) characters. 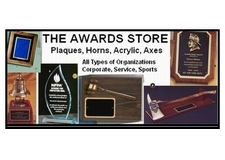 The 5" wide x 8 3/4" high award has an area of 2 1/4" x 4" for laser engraving. The larger version measures 5 3/4" wide x 10 3/4" high with an engraveable area of 3 1/4" x 5".